As we serve individuals within the European Union (including, for now, the UK), we will, from 25 May 2018, be bound by the General Data Protection Regulations (GDPR, Regulation (EU) 2016/679 ). The GDPR will apply to Purrs In Our Hearts Cat Forum as a Data Controller. Our lawful basis for processing data is consent. All users are required to agree to terms and conditions on registering for the forum. Following the GDPR, each individual has the right to: be informed, access, rectification, erasure, restricted processing, data portability and object. This post will outline how we intend to allow members to exercise their rights under this Regulation. The right to be informed encompasses our obligation to provide ‘fair processing information’, typically through a privacy notice. It emphasises the need for transparency over how we use personal data. In terms of personal data, the only data we collect is data in which you supply, with the exception of your IP address. Minimum personal data is requried - email address and a user name. We do not require you to provide any additional personal data, unless you wish to in your profile ie date of birth, gender, location, avatar images personal text and signatures etc which can be edited at any time in your profile settings. We collect your IP address/hostname (in the event of a ban needing to be placed on your account, for the purposes of dealing with hacking, and if we are required to contact your ISP), and your username (for post identification). Further, the forum automatically uses a cookie, a text file containing bits of information (such as your username and password), in your browser's cache. This is ONLY used to keep you logged in/out. The software does not collect or send any other form of information to your computer. The right of access means you have the right to: confirmation that their data is being processed and access to your personal data. Your data is being processed. All data we have is accessible via your profile. If you want us to provide you with additional information (such as your IP address), then please use the contact email below. This gives you the right to have your personal data rectified. Personal data can be rectified if it is inaccurate or incomplete. On the forum, this can be dealt with by requesting to delete your account. A deletion will have to be approved by an administrator (to protect against accounts being deleted maliciously). Once an account is deleted all posts made with that account will remain on the forum but with a username of “guest”. If you wish for any of your posts to be cleared, please do so by editing them to clear any text you wish, then contact us to delete your account. Any requests should be made to [purrs@purrsinourhearts.co.uk]. All emails must come form the email associated with your account. You have a right to ‘block’ or suppress processing of personal data. When processing is restricted, we are permitted to store the personal data, but not further process it. Our data processing is as restricted as possible. Processing generally requires you to act on our website, therefore not using the website will cease such processing. This allows you to obtain and reuse your personal data for your own purposes across different services. This allows you to move, copy or transfer personal data easily from one IT environment to another in a safe and secure way, without hindrance to usability. Ultimately all posts you make, unless made in a restricted forum where you have lost access, and other information you provide are all accessible. If you wish for us to send you the data we hold, a request should be made to the email below. You have the right to object to processing based on legitimate interests or the performance of a task in the public interest/exercise of official authority (including profiling), direct marketing (including profiling), and processing for purposes of scientific/historical research and statistics. We do not generally process data for these purposes. In accordance with GDPR, if we become aware of a data breach, we are obliged, within 72 hours, to notify any users involved. As we do not believe such a breach would result in a risk to the rights and freedoms of individuals, breaches will not be reported to the supervisory authority. The GDPR contains new provisions intended to enhance the protection of children’s personal data. As we do not identify individual's beyond their IP address, username and email address, we do not believe any action is required. As our data processing does not possess a high risk to the rights and freedoms of individuals, we are not required to undertake a Data Protection Impact Assessment (DPIA), nor are we required to appoint a Data Protection Officer (DPO). We reserve the right to reveal information we hold about you (or any other related information collected on this service) in the event of a formal complaint or legal action arising from any situation caused by your use of this forum, in accordance with the laws of the United Kingdom. 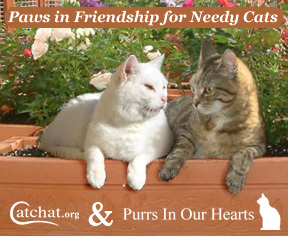 Any formal requests should be made to [purrs@purrsinourhearts.co.uk]. All emails must come from the email associated with your account.